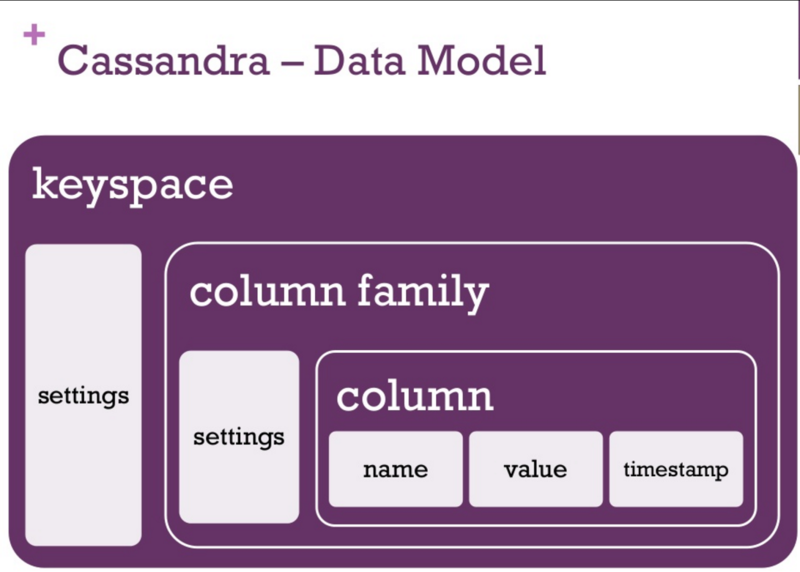 所谓Column就是： A tuple with name, value and timestamp。之所以称之为Column Family, 是因为Cassandra 是一种列式数据库，因此将一组Column称为Column Family。. Column Family 是不是可以理解为 关系数据库的一行数据? Column 是 关系DB中一行数据中的每个字段 的一种变形?